Even though you may not be looking to sell your current home and move, many people like to know what their home is worth on the potential market. Some renovations have a poor return on investment while others would allow you to recoup most of the costs of a remodel. Here are some ways to increase the value of your home. New entrance way – A welcoming walkway to a new fresh front door can make all the difference in the curb appeal of your home. First impressions mean everything, and the first impression of your home is the front door and entrance way. That being said, you want it to display a welcoming feel. It’s amazing how small changes, such as a new front door, can have a big impact on the overall look of the exterior of a home. Backyard patio – A deck / patio can often pay for itself. Having a nice space with some tables and chairs to relax outside can prove to be beneficial toward your homes’ This is not something that needs to be extravagant a wood deck with a patio set would do just fine. Adding an outdoor living space will make your home feel larger and will improve its appeal to potential buyers. Attic/basement conversion – Yes, this can often be a big project, but potentially could yield almost a 50% return. Some may find it nice to have more storage space, however other than extra storage, what is the point of having an unused room in your house? You can convert it into another bedroom, home office, home gym, game room, the options are endless. The more square footage a home has, the more appealing it becomes to potential buyers. Window replacement – According to the “Remodeling Impact Report”, the median cost for new vinyl windows is $19,000 but the return is at almost 80%. Windows play a big role in curb appeal. Even if the rest of your home looks great, if your windows are old, rotten or falling apart this can be very detrimental to your homes’ Depending on how many windows your home has, this could potentially become costly. Lighting – Although it may seem unimportant, lighting can play a crucial role in the feel of your entire home. Whether you are trying to bring in more natural light or have artificial lights with dimmers allowing you to set the mood, lighting can drastically impact the entire feel of a room or entire household. Paint – A new color or an update coat of paint can really give your house a whole different vibe. This could possibly be the most inexpensive of options and is a job you could easily do, especially painting the interior. Your personal taste may call for a bright yellow room, but others may find that as a turn off. If looking to sell soon, go with neutral colors that potential buyers can project their own ideas onto the space. Bathroom Remodel – Whether it’s a full or half, having a bathroom that gives a relaxing tone is important. Adding another bathroom could be necessary if you are in a multiple bedroom house with only one bathroom. A major renovation can be costly and result in a 50% return on the investment, but even small upgrades can make quite the difference. A new sink or toilet could be the simple change you need to upgrade the entire room. Kitchen update – new cabinets, drawers, counter-tops, flooring and appliances. Costly, yet the return is close to 60% with the highest satisfaction level. Families spend large portion of time in the kitchen, so giving it an upgrade to improve function and appeal would be extremely beneficial. You may not be looking to sell right now, but down the line you may realize your home has become outdated. Before you start the process to sell, make sure that major maintenance to your home is taken care of first. 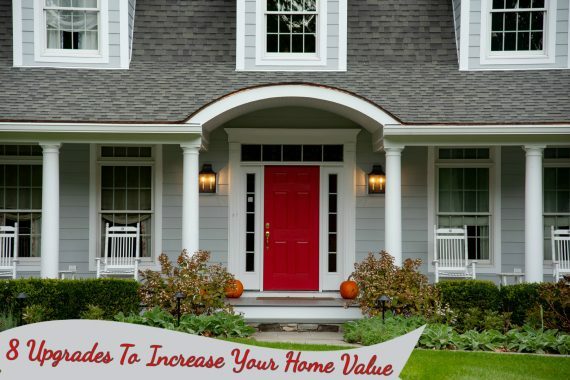 After that step is completed, look for design upgrades to improve your homes’ value. Not all upgrades need to be a major renovation to change the ambiance of your home. Tweaks such as those listed above can have an impact on the value of your home. Along with these tweaks, making your home smarter is another way to improve its appeal. For tips on that, read our recent blog “Upgrading to a Smart Home”. If you are considering a project, New Dimension Construction would be pleased to discuss our process with you. Call (845) 605-1313 or email info@NDCcontracting.com. Should I Finish My Basement?